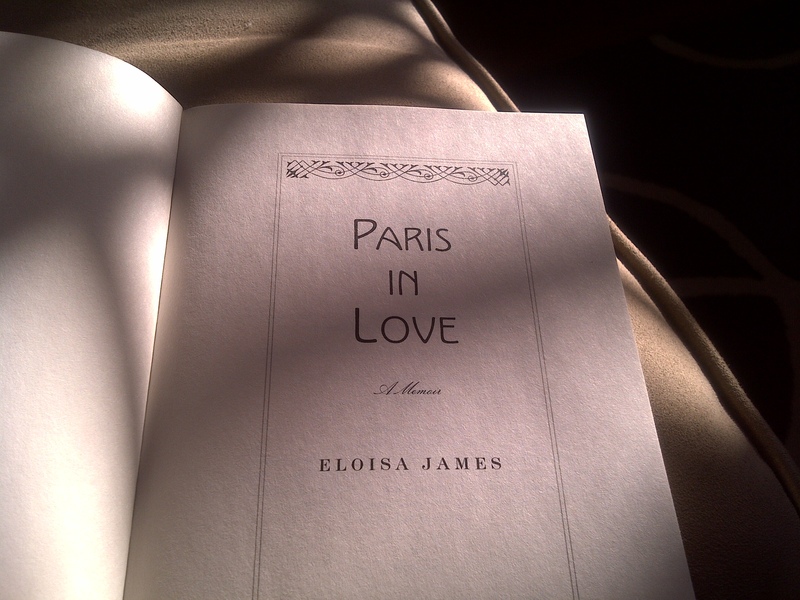 (new) book crush: Paris in Love, by Eloisa James – teamgloria, inc.
Posted on April 16, 2012 April 16, 2012 by teamgloria in people., things. where would you Love to live for a year? Yes! ANYWHERE in the world…….? St Tropez (or nearby) for a late summer – motoring to Monaco for a weekend or two. then New Delhi (we’ve been before – must pop the pictures here sometime – it was before we became teamgloria) – in a long low quiet whitewashed house – to study ancient poets for the winter – staying inside for Monsoons and venturing out for non-seasonal cricket (yes, we’d be playing). London in the early spring is always hopeful and we’ve not lived there for over a decade now – and we’d take motoring trips up to Norfolk, for a seminar or two on Shakespeare and Milton in a Cambridge, then Oxford college. Some Stratford on Avon country house party and a celebration of sorts around March 9th. Then to Africa, to make a movie. Not sure where – we’ve been to cape town and jo’burg briefly alas only while changing planes but elsewhere (we have Friends who Know so we’d ask them). It would be an Epic film. Of course there would be an exhibition at Hamiltons, peter fetterman and Staley Wise upon our return which we’d Definitely invite you to. And now to a new friend – Eloisa James – who had Dreamed of a year in Paris her whole life and then, when it looked like her life might be curtailed (by yes, cancer), she recovered her wits, her health and her dreams and Took her Italian husband and two children and flew to France to live a whole new brilliant Life – and it’s a Delicious Book – do read it! P.8: I never did learn how to live in the moment, but I did learn that moments could be wasted and the world would continue to spin on its axis. It was a glorious lesson. Eloisa’s journey is Utterly Delicious as she unravels from her illness and becomes re-made in Paris – with the help of satin underpinnings, chocolate bon bons, to live like a Parisian – beautifully, elegantly and thoughtfully…..
My Parisian December went a long way to mending a crack in my heart caused by the words “the biopsy was positive”. To eat as the French do is to celebrate life, even to indulge in it. Yes, darlings, there are giggling-cultural-confusion style madcap misunderstandings; her children rebel and then relish their mix of lands and languages as they grow and all through the book Eloisa tells us, in small paragraphs, the glimpse of Parisian life, as seen from her window – it’s awfully seductive and sensuous and Refreshingly bold in the way she just sinks into life’s embrace and lies there smiling for a long while…….. Although it wouldn’t be the first time, I think you know my answer, eh oui, Paris. I have been happy there, unhappy there, in between… and yet regardless of emotional state, I have always been my most “me” – and creatively so as well as womanly so. Add the extraordinary pleasures of art, ancient streets, la beauté de la langue française, a few friends… I would joyfully spend my days in that remarkable, gritty, dirty, bustling, extraordinary city.